The movie matinee at the Library on Wednesday, January 30 is “Operation Finale.” Ben Kingsley stars as Adolf Eichmann, the Nazi officer who masterminded the plans that sent millions of Jews to their deaths. He fled to Argentina under an assumed name after Germany’s collapse at the end of World War II. He had been reported dead but Israeli Intelligence plans a secret mission to infiltrate Argentina and capture him. The Israeli agent and Eichmann engage in an intense cat-and-mouse game. Don’t forget there is Bridge at the Library on Mondays at 2:00. Play or learn to play. And there is Mahjong at 10:15 on Tuesdays. Two pleasant ways to spend some time on cold wintery days. Chelsea Bard of Epsom was named to the Castleton University Dean’s List for the fall semester of the 2018-19 academic year. To qualify for this academic honor, the student must maintain full-time status and a semester grade point average of 3.5. Timothy Bowen of Epsom was named to the Castleton University Dean’s List for the fall semester of the 2018-19 academic year. To qualify for this academic honor, the student must maintain full-time status and a semester grade point average of 3.5. Epsom, New Hampshire’s Brooke Seymour of the Epsom Central School took a step to becoming an internationally recognized artist by winning a local competition sponsored by the Epsom-Chichester Lions Club. Seymour’s poster was among more than 350,000 entries submitted worldwide in the 18th annual Lions International Peace Poster Contest. Lions Clubs International sponsors the contest to emphasize the importance of world peace to young people everywhere. The poster was chosen by the Epsom-Chichester Lions Clubs based on its originality, artistic merit, and portrayal of the contest theme, “Kindness Matters”. One grand prize winner and 23 merit award winners will be chosen. The grand prize is a $2,500 award plus a trip for the winner and two family members for a ceremony at the United Nations on Lions Day. You may view the winning posters at www.lionsclubs.org. The Epsom-Chichester Lions Club has conducted this contest for many years and encourages other local schools to participate. If you would like to visit the local Lions Club meeting please call 736-9942 for information. This week, I presented two bills to the committee on Health & Human Services. HB 284, which simply deleted “on May 1” from the requirement to take a biennial inventory of controlled drugs, aroused a great deal of interest from people who were concerned about the federal requirement (within 2 years of the previous inventory.) After a good deal of hallway conversation, I managed to convince them that federal law still applied and the organizations in question had so many requirements on controlled drugs that simply eliminating the date would not jeopardize them. HB 113, which allowed applicants for mental health licenses to use their existing licenses to reduce the amount of supervised training required, also sparked interest. The hearing started late and was recessed, and the various groups are trying to come up with better language to accomplish this goal. My committee heard HB 108, allowing a charitable organization to sponsor bingo up to 16 days in a month, without exceeding the current limit of of 120 games/year. HB 424, on licenses for game operators, attempted to impose a no-compete zone within 40 miles of the existing poker rooms. That left only a sliver of northern Grafton county and most of Pittsburg available for new games: I can’t support such a protectionist measure. HB 247, updating the state building code, was supported by everyone who actually uses building codes, but opposed at length by people upset that the energy code was not updated as well. HB 259, requiring any building inspector who pointed out a code violation to reference the exact section of code (necessary to find out how to fix the violation) was discussed without opposition. 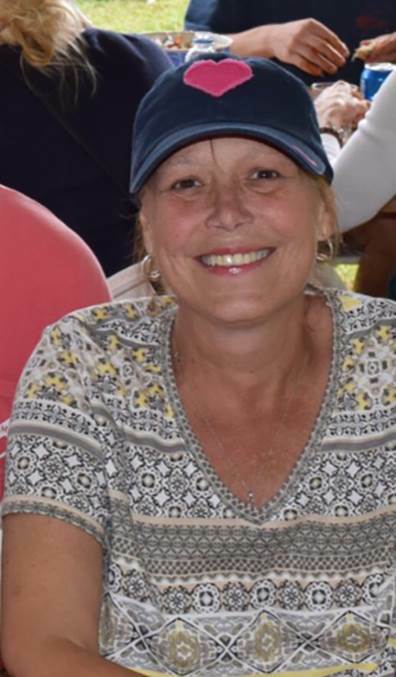 Susan E (Blouin) Berry age 54, of Epsom, NH passed away Tuesday, January 15th, 2019 at Concord Hospital surrounded by her loving family. She was born and raised in Allenstown, NH on May 15th, 1964. She had most recently been a resident of Epsom, NH, formerly living in Charlotte, NC and Germantown, NJ. Susan had a successful career having worked at the corporate offices of Beneficial Finance Company NJ, Bank of America NC and most recently worked as the Global Head of Learning at Citibank in NYC. Susan was very strong, compassionate, and loved life, living it to the fullest. She was an inspiration to many. She loved her children, family, and many friends. Susan is survived by her three children: Samantha Berry, Patrick Berry, Andrew Berry; Her mother Alice I. (Gelinas) Blouin, two sisters Irene A. Sutton, Mary Jane Ricker and their families. She was predeceased by her father Roger J. Blouin. Her family is very thankful she lovingly spent the last 2-1/2 years with her significant other, love of her life, Sean Wray of Bow NH. Susan is an 18 year cancer survivor. With her belief in God and her dear friend Miss Patti Johnson she continued to find new treatments. She never gave up! There will be no public services at this time. There will be a Celebration of Life in the Spring. 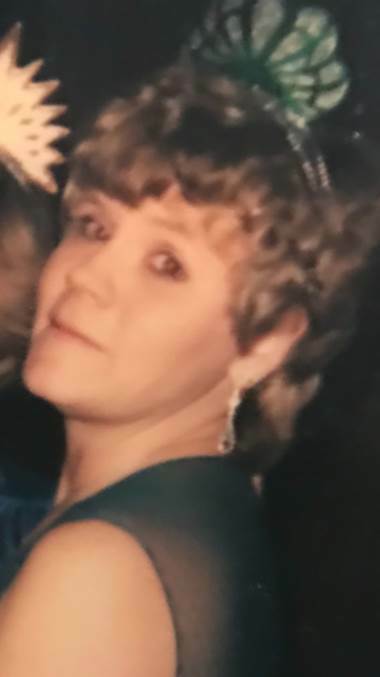 In Lieu of Flowers, to help her 3 children in college, donations can be made by check for deposit to the Susan Berry Family Fund established at Bank of NH. Additionally on line donations can be made to the account set up at GoFundMe. Her family thanks all her loving friends and extended family for their support.